31.05.2015: Ministry of External Affairs announced that former Singapore foreign minister George yeo is going to be the new chancellor of Nalanda University. He will succeed Amartya Sen who is presently the chancellor. Mr Yeo was awarded Padma Bhushan in 2012 in public affairs. 31.05.2015: Former Intelligence Bureau Chief Ajit Doval is appointed as the new national Security Adviser. 69 year old Ajit Doval is an IPS officer belonging to 1968 batch and was the first police officer to be awarded President Medal within six years of service. He is also the first police officer to be awarded Kirti Chakra for his role in Operation Black Thunder. 31.05.2015: President and member of the board of Infosys Mr BG Srinivas resigned after serving Infosys for about 15 years. The resignation will come into effect from 10th June. He was appointed president in January 2014. Infosys is now searching for non-founder CEO of the company for the first time. 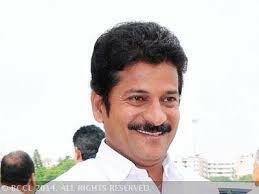 31.05.2015: Telangana state TDP MLA Revanth Reddy was trapped by Anti-Corruption Bureau while he was trying to bribe a nominated MLA. He was trying to make the nominated MLA vote in favour of his party candidate in Legislative Council Elections scheduled for 1st June. 31.05.2015: Mathematician and founder to Super 30, Anand Kumar was honoured by Legislature of British Columbia in Canada. He was honoured for his achievement for underprivileged section students from India. The British Columbia government recognised Anand Kumar’s word through Super 30. 31.05.2015: Four Indian grapplers struck gold at International Wrestling tournament in Italy. Yogeshwar Dutt won the gold medal in 65 kg division. Praveen Rana won gold in 70 kg category, Narsingh Yadav won gold in 74 kg weight category and Amit Kumar won the medal in 5 7 kg weight category. This entry was posted in Current Affairs, News on June 1, 2015 by Rakesh.